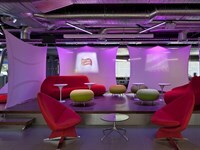 The meeting area at the MSHQ in London had had its soft surfaces removed thereby increasing sound reverberation in this high-use space. 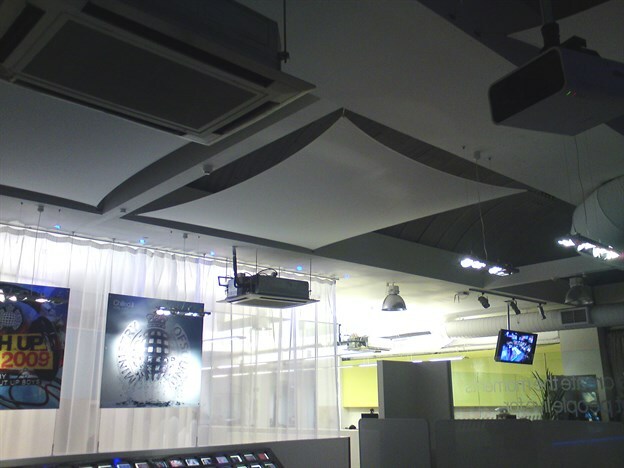 Our brief was to add some tensile fabric elements which reduced the sound level, thus making the space more usable in busy periods. Using the existing structure of the beamed ceiling, TensileFabric detailed a number of sails in different shapes and sizes to neatly fit into the spaces available above. 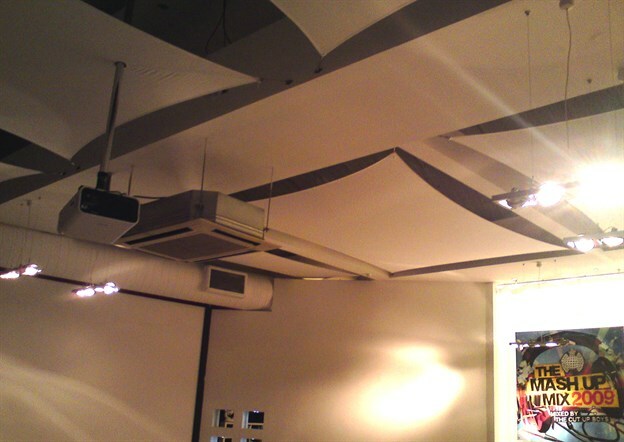 These sails therefore resolved the acoustic problem in a stylish yet unobtrusive fashion. The six sails were manufactured using Molton fabric, which is a fibrous man-made material that offers sound absorbing qualities whist still being able to be used for single skin sails. 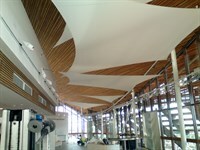 The acoustic sails were then fixed into the existing structure using rigging screws and stainless steel deck plates. 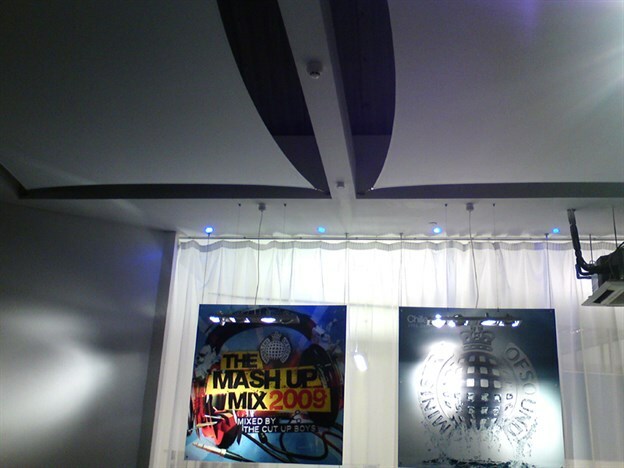 The installation was completed in around six hours in an overnight period due to the space being used in the daytime for business.